How would you like to four fun card games from Winning Moves? If you would like a chance to win, enter with the Giveaway Tool below. 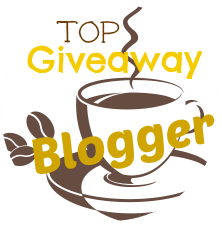 If you have won a Winning Moves USA giveaway anytime from another blog in the last 12 months, you are not eligible to win this giveaway. The giveaway will run from July 10 through July 24, 2014 at 11 PM CST and is open to US residents, ages 18 and older. Entries will be verified. Winner will be notified via email (consider adding gloriouslygreengal@gmail.com to your safe list) – winner will have 48 hours to respond and claim prize or another winner will be selected. So many people I know play Bunco - I'd like to try that! The splash pals game looks fun! I like that Winning Moves offers not only brand new games, but the older classics as well. I would love to play Uncle Wiggly with my grand daughter. She loves to come to Grandma's house and play games! I would like to try Canasta. It is a game I've head of but never played. Brain Blocks is on special for only $5 and has free shipping. Got to like that! I learned about the game Big Boggle, a best seller, that could be used with my reading students for a fun break while still learning and practicing skills. I learned that rubik"s cubes come in different shapes ans sizes, even as small as a key chain. I would like to try the game Stop It! Sounds like it might be fun. I learned that there is a new for 2014 Connect 4 More game that looks like fun. I learned that Scattergories Categories is a best seller. I would enjoy having this! Bunco looks fun! We go to a Bunco tournament every December. Even though I have never actually played it, I like Twister and would enjoy giving it a try! Sometimes, many card games a seem a lot alike in how they are played but these games seem to be quite different from one another.